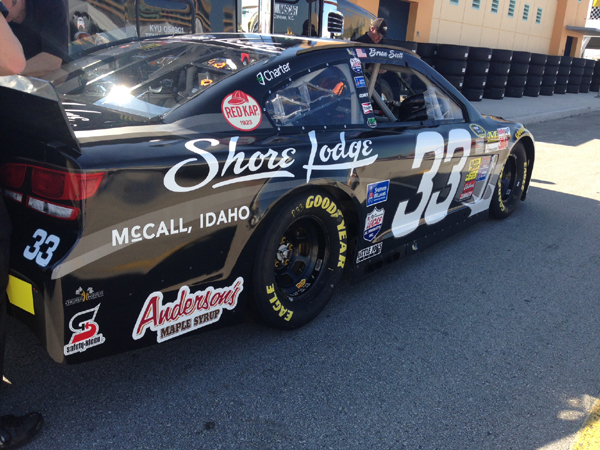 Anderson's Maple Syrup and legendary Nascar team Richard Childress Racing (RCR) joined forces for 2 races in 2014 in the Nascar Nationwide Series in the #2 car, driven by Brian Scott. The first of the two races was held on March 22, at the Auto Club Speeday in Fontana, California, with the race airing live on ESPN. Brian started off the weekend by racing in the Albertson's shopping spree with contest winner Denise Stepps. Then, after qualifying the Anderson's Maple Syrup Chevrolet in the 9th position, some timely adjustments by the crew would allow Brian to lead some laps during the middle of the race. However, the handling went away toward the end of the race and Brian ended up finishing 12th. Click here for more details on this race. 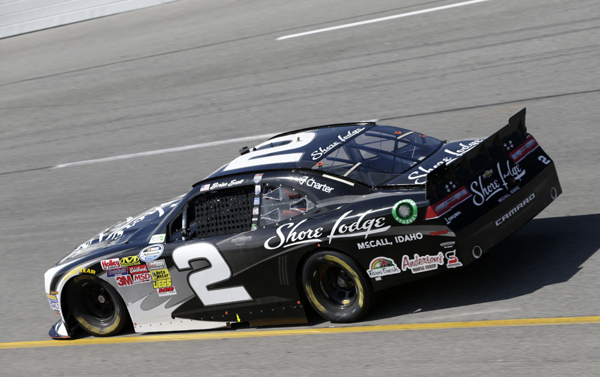 The second race was on May 24th at the Charlotte Motor Speedway and was broadcast live on ABC. In addition to driving his Nationwide and Sprint Cup cars for the weekend, Brian also teamed up with a sweepstakes winner in a two-minute shopping spree at a local Food Lion store. After posting the fastest speed in the first practice and being the second fastest in the second practice practice, Brian qualified the car in the 6th position. After riding around in the top 10 most of the day, he ended up finishing the race 5th. 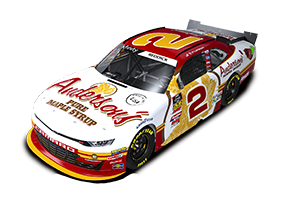 In addition to these two primary races, Anderson's Maple Syrup will also be an associate sponsor on Brian's car for a handful of other races in 2014. Click here to view the Homestead post race report. Click here to view the Indianapolis race preview. Click here to view the Indianapolis post race report. 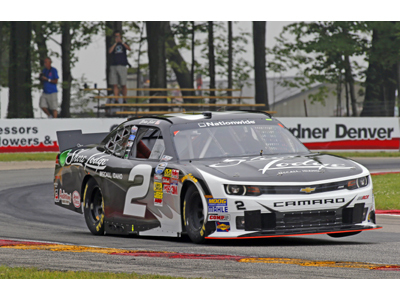 Click here to view the Road America race preview. Click here to view the Road America post race report. Click here to listen to a clip of the MRN Fast Food Show, featuring Steve Post. Click here to view the Charlotte race preview. Click here to view the Charlotte post race report. Click here to see Brian Scott in action at the Albertson's shopping spree on 3/20. Click here to listen to Brian Scott's 3/18 interview on Nascar Race Hub. Click here to view the Fontana race preview. Click here to view the Fontana post race report.